The heroes of Azeroth are on the verge of a war that will reforge the fate of two worlds. 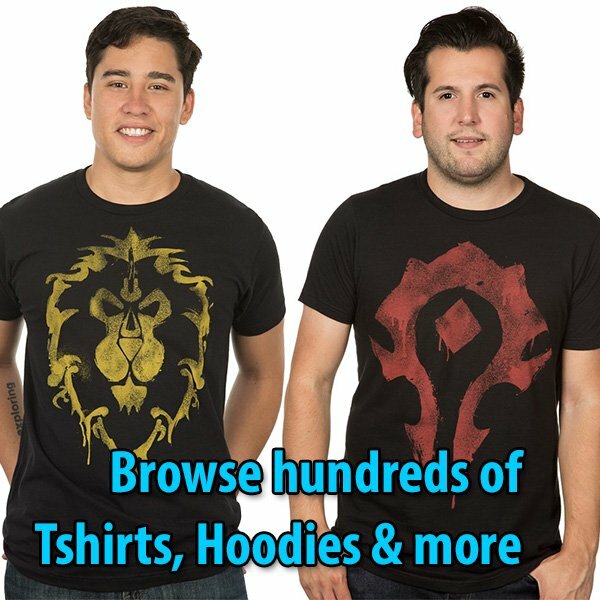 World of Warcraft®: Warlords of Draenor™, the fifth expansion to Blizzard Entertainment’s acclaimed massively multiplayer online role-playing game, sends players to the world of Draenor at a pivotal moment in history to fight against and alongside legends from Warcraft’s brutal past. Across Draenor’s savage jungles and battle-scarred plains, Azeroth’s heroes will engage in a mythic conflict involving mystical draenei champions and mighty orc clans, and cross axes with the likes of Grommash Hellscream, Blackhand, and Ner’zhul at the height of their primal power. Players will need to scour this unwelcoming land in search of allies to help build a desperate defense against the Iron Horde’s formidable engine of conquest—or else watch their own world’s bloody, war-torn history repeat itself. For more details about World of Warcraft: Warlords of Draenor, visit the official announcement website. Explore a Savage World: Explore the hostile world of Draenor, home of the orc and draenei races, as it once existed, and adventure in all-new zones alongside characters central to Warcraft history. Build Your Garrison: Construct, command, and expand your own customizable stronghold on Draenor, and gather NPC followers to collect resources and embark on missions on your orders. Instantly Upgrade to Level 90: Boost one character of your choosing to be ready to adventure on Draenor, making it easier than ever to enjoy the latest content alongside your friends. New Player Character Art: Character models and animations for many of World of Warcraft’s existing playable races are being fully revamped in keeping with the game’s iconically epic style. Adventure to Level 100: Reach new heights of power and unlock bonuses to further enhance your abilities on your way to the new level cap of 100. …And More: Take on a wide array of Dungeons, Raids, Scenarios, Battlegrounds, Challenge Modes, and more—no matter what kind of content you enjoy, new adventures await.